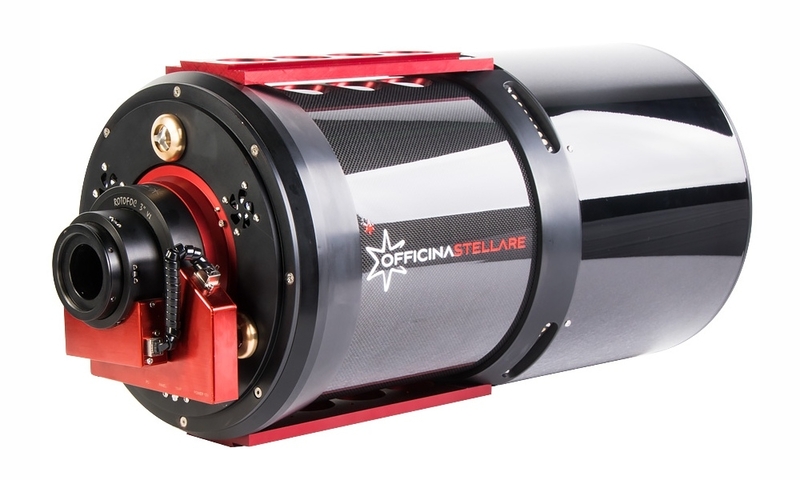 Officina Stellare Veloce RH 300 (Riccardi-Honders) f/3 athermal astrograph offers an incredible f3 focal ratio together with large 300mm diameter generating not only incredibly deep astroimages but also rich in details. Its design allows a corrected field all over the large 60 mm diameter so it's perfect also for the largest camera sensors, like 36x36 mm (51 mm diagonal). Athermal design is ready to work at any temperature, in the whole world. The whole mechanic system has been redesigned to satisfy every rigid demand for scientific application. Optics has been improved and optimized for large field imaging and surveys, with a better image quality even on small pixels size cameras. 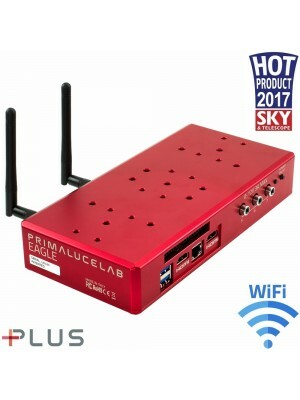 Innovative Nano Coating (copyright) allow with a better transmission over a wider wavelenght bandwidth range, a feature appreciated by professionals, and an amazing resistance to dust and moisture. The RH300 AT has an athermal construction, perfect for guarantee the maximum focus stability at any temperature variation and the updated design banned out straylights from the RH300 AT.